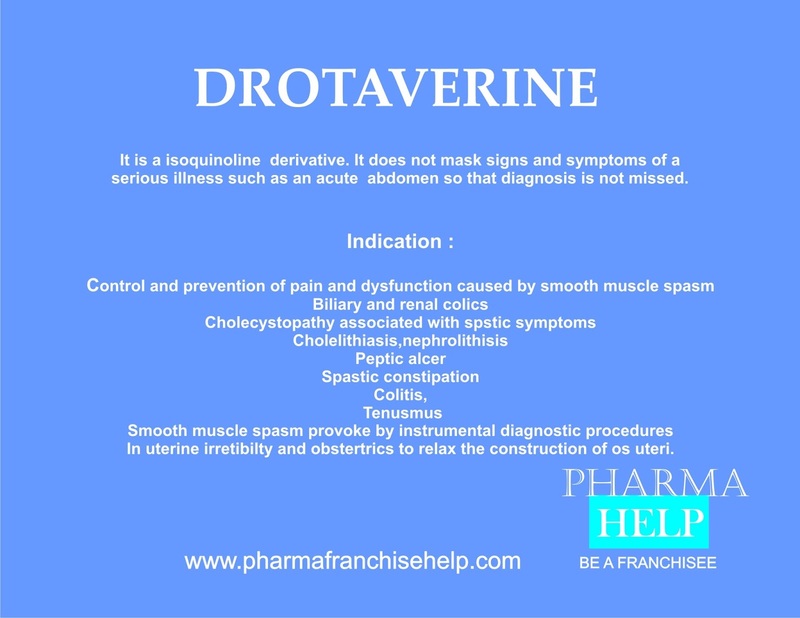 Drotaverine is a isoquinoline derivative. It does not mask signs and symptoms of a serious illness such as an acute abdomen so that diagnosis is not missed. Control and prevention of pain and dysfunction caused by smooth muscle spasm. In uterine irretibilty and obstertrics to relax the construction of os uteri.